Welcome to the CMusic Production Vintage Bandoneon Library! 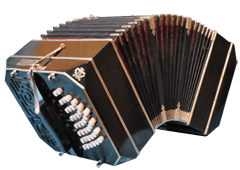 The bandoneon is a concertina-type reed instrument, invented in Germany by Heinrich Band. First used in German church music, it was introduced to Argentina at the end of the nineteenth century. There, it gained widespread acceptance as a solo instrument for tango music. Its “overblown, edgy” sound is unique, attracting fans worldwide, including the well-known singer and composer Astor Piazzolla. 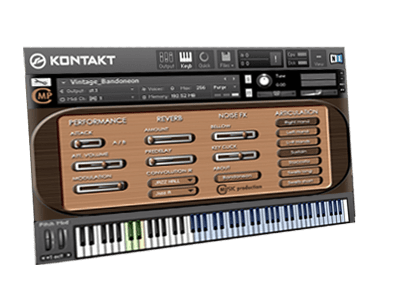 The Vintage Bandoneon Library contains a large number of samples in four layers with 4x Round Robin. Velocity is regulated by modulation (CC1), making for smooth transitions between layers. Special “hidden” velocity-controlled Round Robin accents come in two versions: soft and hard.